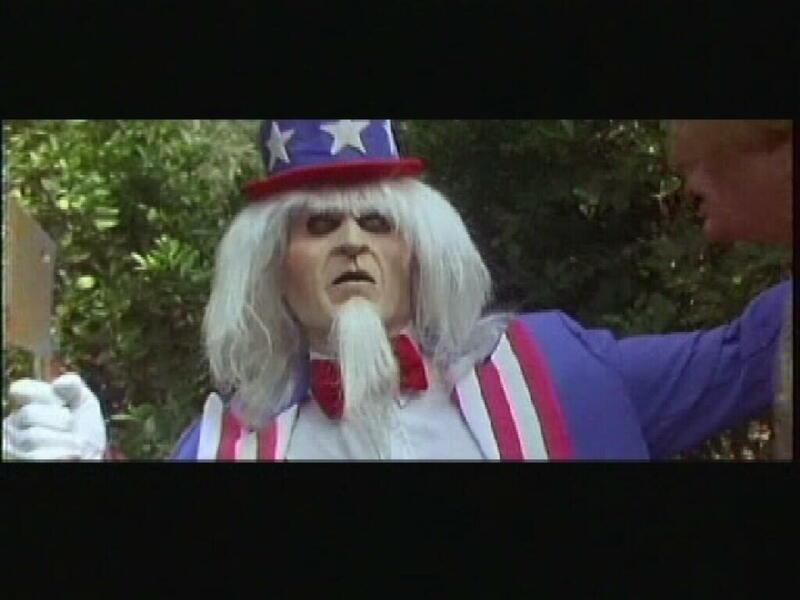 VOLTRON here talking about UNCLE SAM, one of the most unique twists on the slasher genre that I've seen in a long time. Sam Harper died in the first Gulf War, but five years after his copter went down in the Iraqi desert he was found. The strange thing is some twisted inhuman will is keeping Sam Harper moving despite the fact that he's dead. Sam's remains are returned to his sister, but his sister does not welcome them. She remembers Sam as a twisted lunatic that liked to hurt people while her son Jody sees him as only a hero. 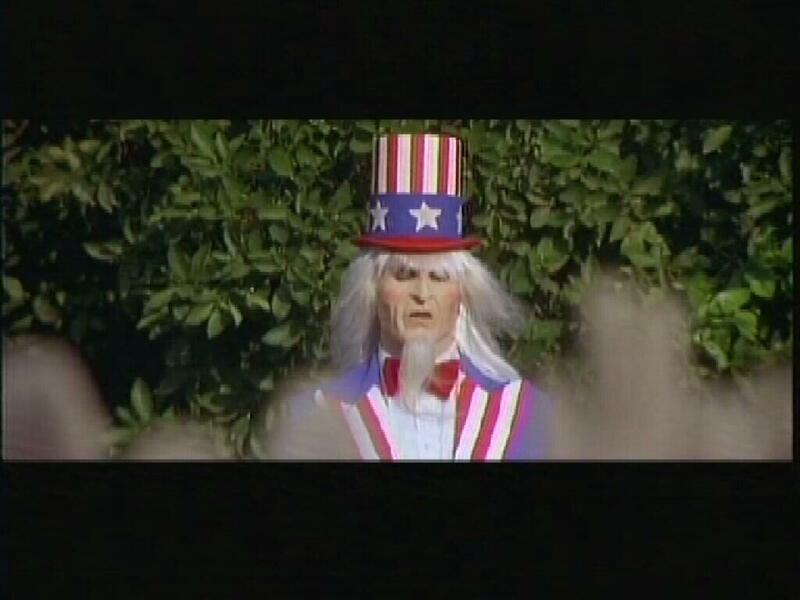 Sam escapes his coffin and takes the guise of the man to dress like Uncle Sam the fictional character in the upcoming July fourth parade. Now beware flag burners, tax cheats and draft dodgers, Uncle Sam is coming. A great slasher flick, with okay effects, wonderful story and just cool to watch. 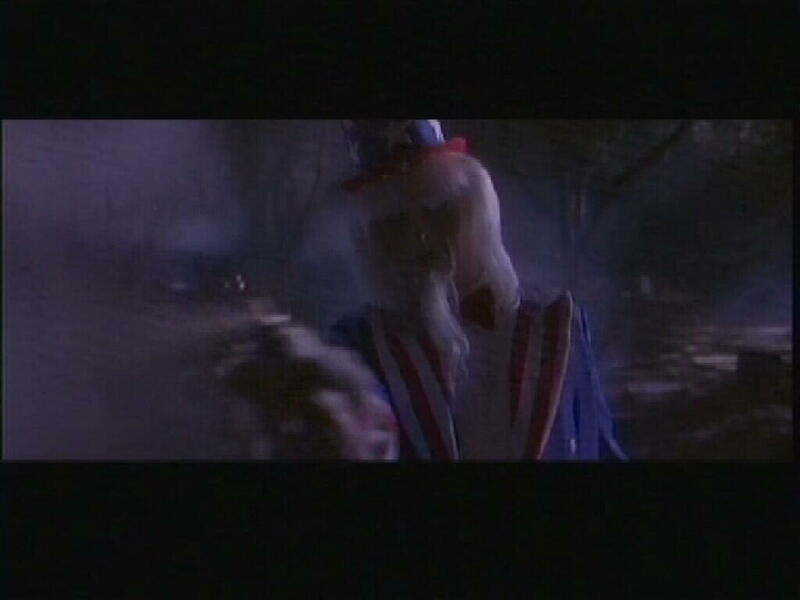 Trust in your UNCLE SAM for a fun scary movie.